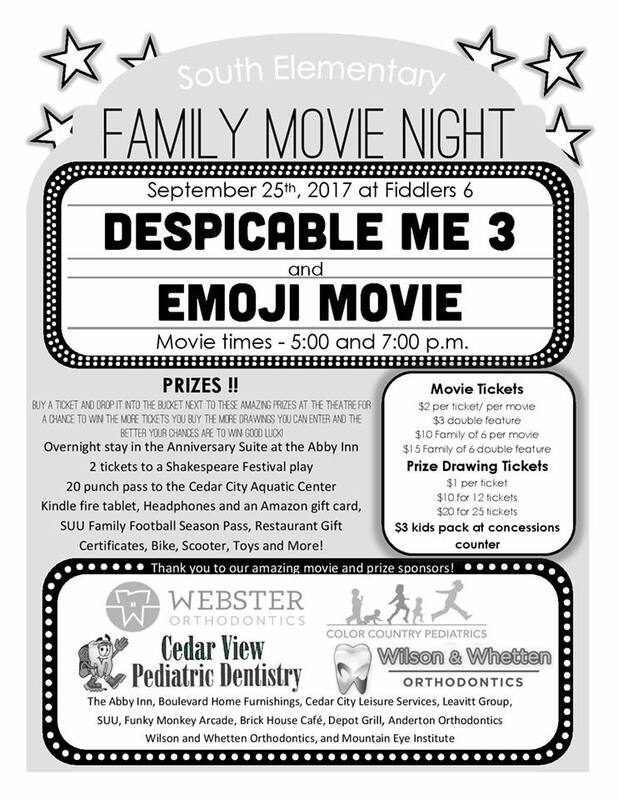 The South Elementary PTA has arranged a Family Movie Night on Monday, September 25th, 2017 at the Fiddlers 6 Theater. Everyone is welcome to particpate! You don’t have to be a family of South Elementary students. 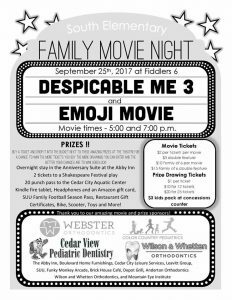 The movies that will be showing at 5:00 pm and 7:00 pm are Despicable Me 3 and Emoji Movie. Buy a ticket and drop it into the bucket next to these amazing prizes at the theatre for a chance to win. The more tickets you buy the more drawings you can enter and the better your chances are to win. Good luck! Thanks to the movie and prize sponsors!